SAN RAMON, Calif. -- Despite ever-tightening budgets, hefty paydays are actually becoming the norm for a lot of firefighters. 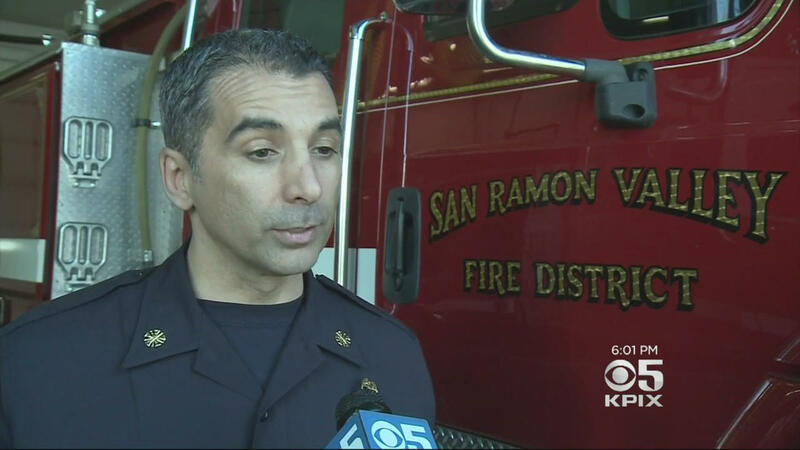 In 2015, some firefighters with the San Ramon Valley Fire District were making as much as $400,000 a year in total compensation, CBS San Francisco reports. More than half of the full-time employees at the department make more than $300,000 in total compensation a year, according to data collected by the watchdog group Transparent California. “Does it make sense that a battalion chief in San Ramon should earn $300,000 when our governor only earns $180,000 a year in compensation?” said Jack Weir, president of the Contra Costa Taxpayers Association. But one department said that paying out a lot of overtime is actually saving taxpayers money. San Ramon Valley Fire Chief Paige Meyer says the $300,000 figure doesn’t tell the whole story. That number includes pension and benefits, so in reality, he says, firefighters take home about half of their total compensation. Meyer said pension and healthcare obligations can mean it’s cheaper to pay a firefighter overtime instead of hiring someone new and adding an extra set of benefits costs. “Saving can be upwards of 25 to 30 percent,” Meyer said. Firefighters are guaranteed about 70 percent of their income after retirement in their 50s. In San Ramon, firefighters contribute close to 25 percent of their income to their pension. Weir believes the system won’t work in the long run. “It’s unreasonable, it’s unaffordable and most importantly, from a taxpayer’s perspective and from the perspective of the firefighters, it’s unsustainable,” Weir said. But Meyer says San Ramon is an example of a fire district doing things right. Meyer also says a starting firefighter in San Ramon would make about $90,000 in salary alone.